Parsing out how to picture time is a tricky process. When we talk about time on a human scale — in seconds, minutes, days, years, decades — it's not so difficult to grasp. But when we shift to the universe's scale and begin to grapple with billions, things get much more complicated. 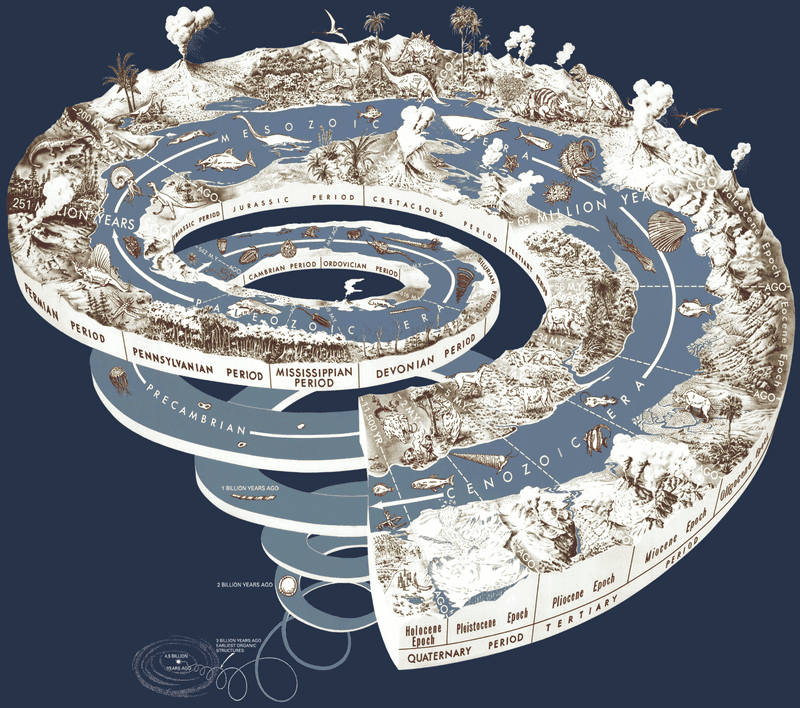 Commenter SexyDinosaurCostume nominated the USGS visualization Geological Time Spiral, which traces out 4.5 billion years of history, giving us more detailed accounts of the periods nearest our own. We particularly like the early accounts of organic structures pinpointed in the furthest reaches of the spiral. You can check out a full sized version over at the USGS.